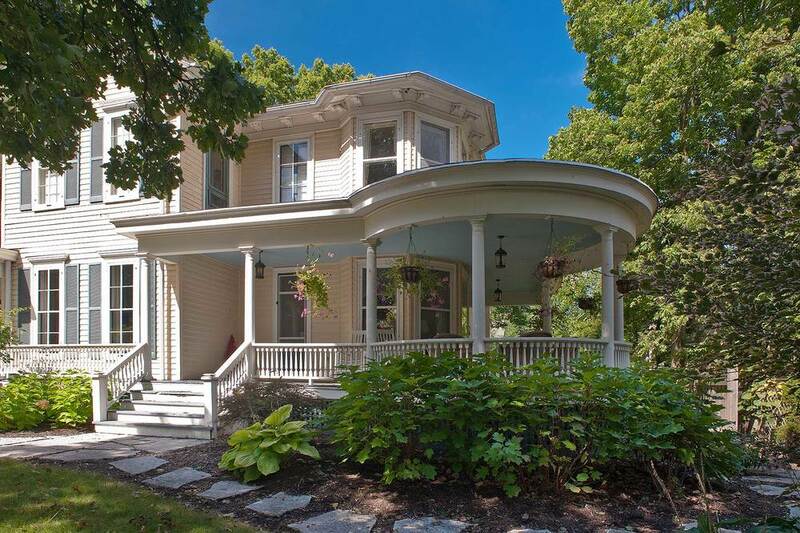 Built in 1855 for a doctor, this Geneva home originally featured two porches extending deep into the property that once overlooked the Fox River. The porch leading to he patients’ entrance was sinking, the connecting link rotting, and the elegant circular second porch had been removed many years ago. Using photographs from the Geneva Historical Society, we designed the porch to replicate the original structure, scaling it to match the size and character of the home —all while staying true to historic detail. Bringing back the curved outline, maintaining the newel post and column designs, and adding a powder blue ceiling created a new porch with old-world charm. We keep it simple. Give us your wish list and we'll bring your vision to life.